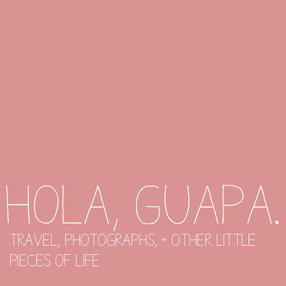 hola, guapa. 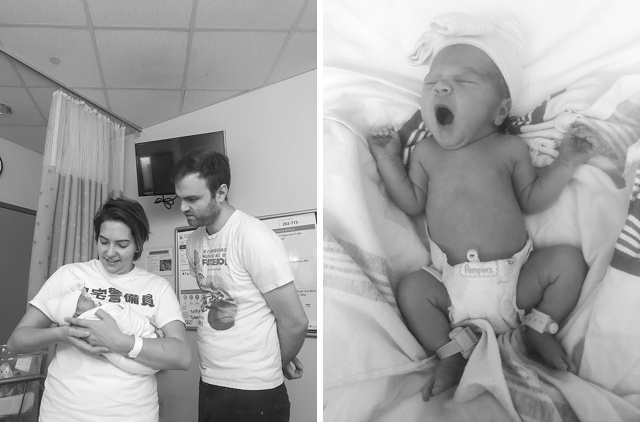 : isabella rose's birth story. this post has been floating around my mind for five months now. 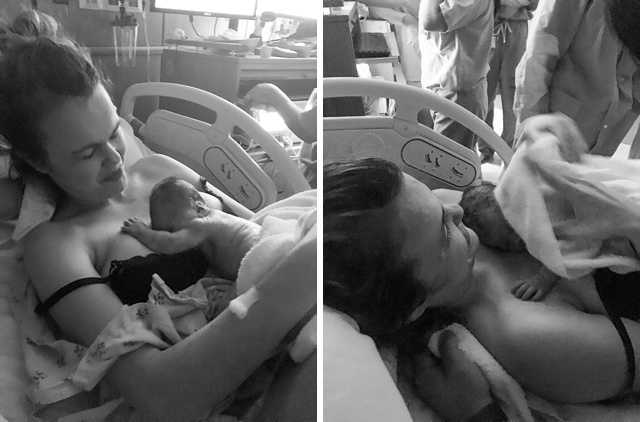 i've known it's something i wanted to share because i think birth is the most incredible miracle (hello, l&d nurse here! ), but i also think it can be so empowering for other parents or soon-to-be parents (mamas especially) to read. 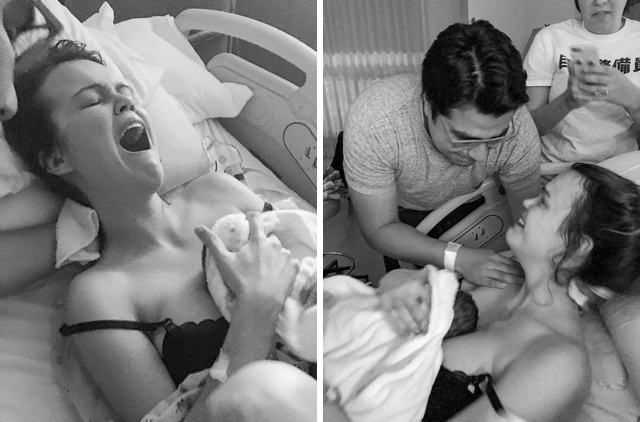 i know shortly before and after having baby girl, i was a little obsessed with reading birth stories and feeling connected in some small way with other mothers. i also want it to be something that i have recorded for our sweet isabella. 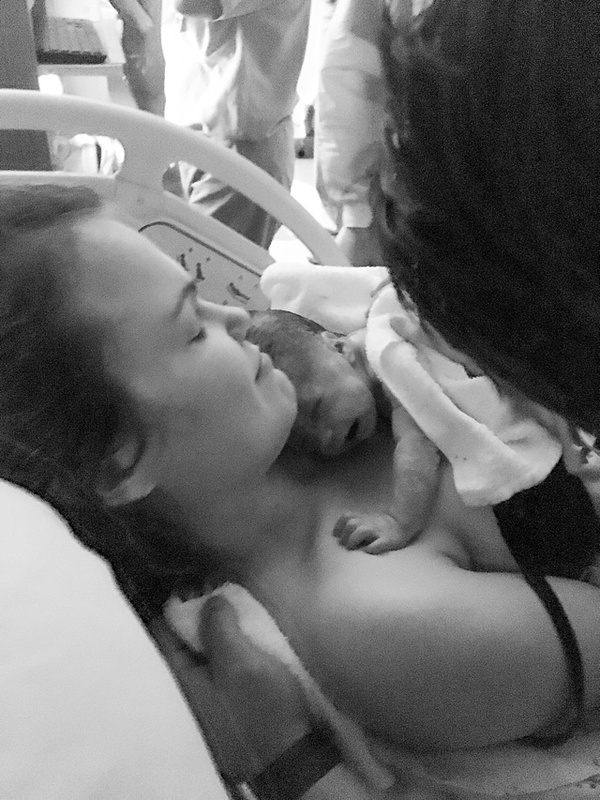 and so on my first mother's day, i am reflecting on both the hardest and most joyful experience of my life. aaand it's a long one, so buckle up! i can't adequately tell this story without starting at the beginning of labor, which came much earlier than expected. one late morning in october, i woke up and instinctively rubbed my little bump, like i did too many times to count every day. i said hello to my sweet girl, and i noticed something seemed off. my abdomen was completely hard, and i knew from my job experience that this was a contraction. though it was strong, it was painless, and this was definitely the time frame in which braxton hicks contractions could start occurring, so i logically should've just shrugged it off. but something told me to pay attention to it (oh thanks, divine intervention! ), so i lay in bed and began palpating my abdomen to see if i had any more. i did in fact have more, and i quickly realized that there was a pattern to them. i downloaded an app on my phone and began timing them, and they were coming every 2.5 to 3 minutes, so within about 10 more minutes, the app alerted me to "pack my bags" and then "call an ambulance or head to the hospital immediately." 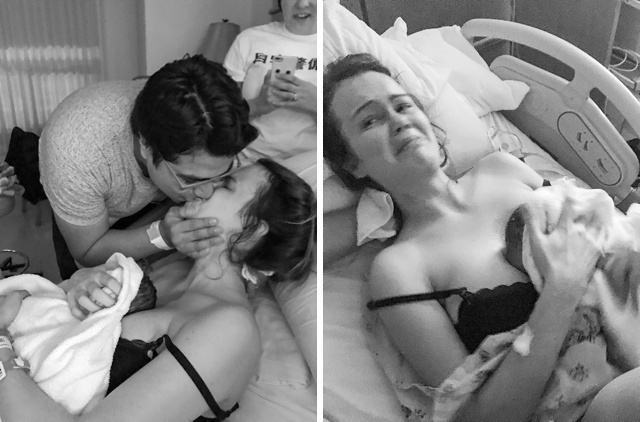 at this point, i knew something was wrong, as the contractions began to become painful. i texted mateo at school and called my midwives, and we were told to come in. 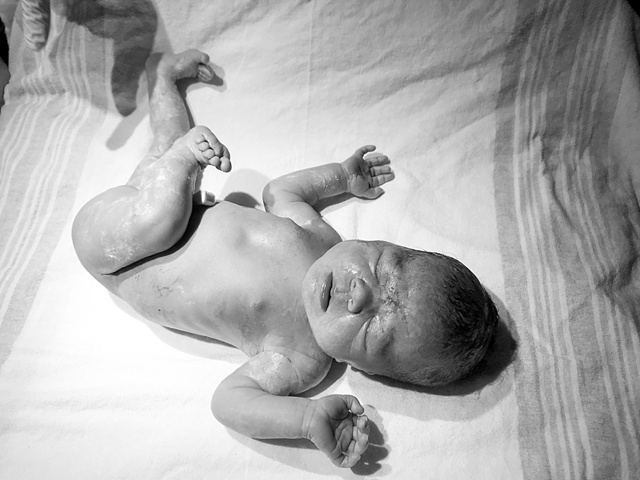 my first experience with labor had begun, and i was thirty weeks pregnant. my co-workers were wonderful and had a room all ready for me, and the midwife checked my cervix, and i was one centimeter dilated. my contractions were coming every 1.5 to 2 minutes, and they were getting more intense. my midwife ran a FFN test (positive) and rechecked me an hour later, and i was dilated to a two. i was officially in labor, so i was given steroid shots for my baby's lungs, vancomycin, and magnesium sulfate to help protect isabella's brain and keep things relaxed. i was holding it together pretty well until the midwife asked if i would like to consult with the NICU, and i asked her if she thought i should, and she nodded yes. it was just all so surreal. my high-risk doctor stopped in from the office to check on me, and i was given procardia to help stop the contractions. and my coworkers were absolutely incredible-- giving me cool cloths and ice packs to help with the side effects of the medications (mag sulfate you guys... woof), answering mateo's questions and supporting him, bringing alll the good energy and positive vibes, surprising me with flowers and a courage pin, and stopping in to keep me company. one of them blessed mateo, isabella, and i with one of the most earnest and most beautiful prayers-- one i'll always remember. i even had another drive from two hours away the second she heard i was in labor to spend the night and take care of me, bringing me lights, a sweet blanket for isa, and a fuzzy blanket for me. all of the medication and prayers worked because my contractions slowly subsided as the night progressed, and i was discharged a couple of days later. the reason behind my preterm labor was unclear-- likely a combination of an auto-immune flare up, chance, and working long hours on my feet. i hoped that it was just a fluke, and that i'd make it to full term no problem while on bed rest, but i also knew the reality of the situation was a bit bleaker than that. my care team told me to take things in small increments and said it would be amazing if i made it to 32 weeks. thus began my day-at-a-time mentality, bed rest, and lots of fun with an irritable uterus (yes, that's really a thing!). i initially thought that bed rest would be a nice little break, where i'd get to sit around and watch movies and read before baby came. but with my OB knowledge, i knew of everything that could go wrong, so i forced myself into a headspace where i took things a couple of hours at a time and tried to just be present. because of this, i spent a lot of time sleeping at weird hours, staring at the walls, praying, and waiting for mateo to come home so we could spend time together. i'd get nervous every time i didn't feel her move for like thirty minutes, but i found out that i could hear her heartbeat with just my stethoscope, so that eased my mind. i started contracting every time i would stand up, stay sitting in bed, use the stairs, shower... so i literally spent all of my time laying on my sides. 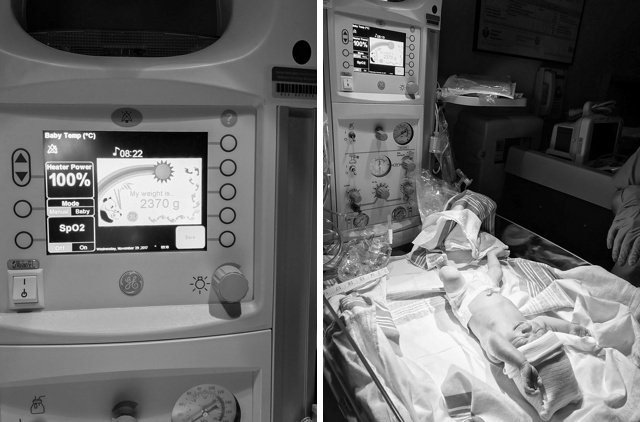 it was also around this time that baby girl was diagnosed with IUGR, an intra-uterine growth restriction. she had fallen off of the growth curve, so i had check ins with the high risk doctors, ultrasounds, and doppler scans a couple of times a week. i loved getting to see her in my belly a bit more often and was always reassured after our appointments. despite our best efforts, i would have runs of contractions every day, and 1 to 2 times a week i would end up back in the hospital with labor contractions every two to three minutes. mateo was so incredible in supporting me during this time period, bringing me to all of my appointments and to the hospital and making sure that i was fed and comfortable always, despite being neck-deep in a tough semester. 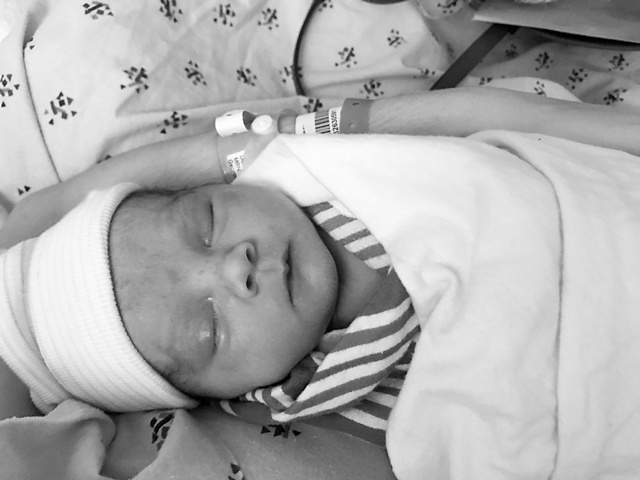 i was slowly dilating more and becoming more effaced, but i was holding off full-blown labor. i made it to 32 weeks, then 33, then 34. my amazing parents and incredible aunt came to take care of us and help us prepare for the baby, and thanksgiving came and went. the day before i delivered isabella at 36 weeks, i woke up to find that my belly had disappeared. i honestly looked maybe 20 weeks pregnant-- either that, or i like i had eaten a few too many burritos. i went to my ultrasound appointment and felt awful back pain. this back labor continued throughout the afternoon, so i slapped on a heating pad and took a long nap. mateo came home from school and helped massage my back, but nothing was helping the pain. the contractions started up again and were stronger than ever, and i thought that maaaaaybe i would finally meet my baby. we finally left for the hospital around 9:30 p.m.
though i had become accustomed to intense contractions, these were becoming stronger and stronger, and i really had to focus on my breathing to get through them. 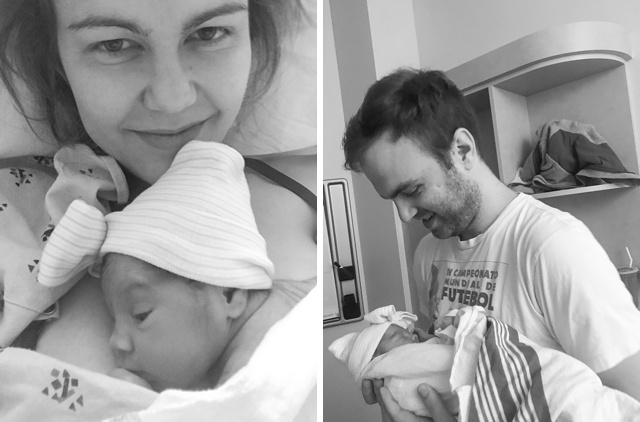 i had planned to try for a natural, un-medicated childbirth, but when i went into preterm labor, i decided that i would just get through labor in whatever way i needed to since i didn't have the energy to prepare for a natural birth. i was 4 or 5 cm dilated when i arrived and 70% effaced, and baby was already engaged in my pelvis. i lucked out with my favorite labor room, and my dear friend sarah was assigned as my nurse. she brought in all sorts of goodies-- twinkle lights, stuffed llamas, knit blankets and hats for the baby, and positive birth affirmations that my coworkers had colored to hang on the wall. 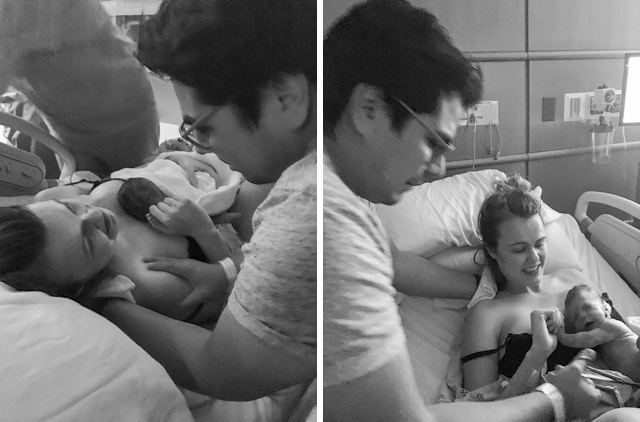 we still weren't sure that this time would be the time that labor would last more than six hours and baby girl would come, so it was extra surreal. we settled into the room a bit, chatted, and danced to shakira and ricardo arjona between contractions. around 1 a.m., i told mateo he should nap, and i bounced around on the medicine ball to get through the contractions. around 3:15, one of my favorite doctors (who i was so lucky to have on call!) came in to check me. i was definitely in labor and six centimeters. my water broke, and that's when things got exciting. basically immediately after my water broke, the pain really came. i didn't know that it was possible to feel that level of pain and be conscious. i transitioned from six to ten centimeters in forty minutes, while contracting every two minutes. the pain was absolutely mind-numbing and nearly constant. i don't really know how to explain it, other than i truly felt like the world was ending and was scared because it felt so out of my control. elle was positioned posteriorly, or sunny-side-up, which can also elevate the pain, so another one of the most wonderful nurses i know, lisa, came in and helped put me into different positions during the contractions to help her rotate. this wasn't fun, but it worked! mateo was such an incredible support, by my side through all of it and trying to distract me with happy thoughts in between. i distinctly remember him telling me, "remember all of those bows you bought her and are so excited about? you will be putting bows on her so soon!" the pressure became so intense that i begged for an epidural if i couldn't push. my sweet sister-in-law, tess, showed up right about this time, and i was so happy to see her! and also scared that i was going to scar her for life. 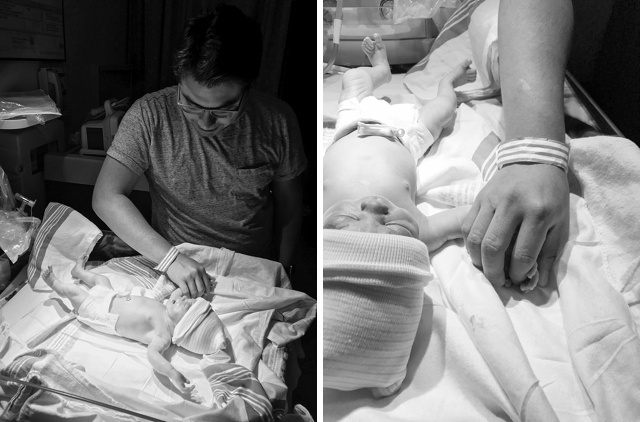 i got into hands and knees to rock during contractions, and after a couple more in this position, i turned to sarah and said, "i don't know what's happening, but if i can't push right now, i don't know what i'm going to do!" pushing was both a relief and an incredibly intense experience. the pressure was so immense, but pushing was so intuitive, which was nice. i remember feeling so hot and apologizing for all sorts of things.. "sorry i'm so sweaty, sorry my bum is in your face, sorry for being so needy." i couldn't tell if i was progressing at all at, and i heard my doctor and nurses say the things we always say to patients (even when they're not always pushing super well). i asked my doctor to be straight up with me, and she assured me that we were making progress. i got to touch isa's head, which was kind of the best and gave me added strength. at one point, the anesthesiologist wandered in sheepishly asking if i was interested in an epidural. she was juuust about crowning, so i shook my head no, "we're good!" although i only pushed for 15 or 20 minutes total, it simultaneously felt like it flew by and i was pushing forever. everyone in the room was absolutely amazing. i felt so loved and supported. but despite this, it was all overwhelming. i got to the point where i knew the only person that could really help me was God, so i prayed between contractions-- for strength and safety and confidence. i left it all in His hands, and i know that God was in that delivery room with us. one or two pushes later, my sweet girl was crying before she even was fully delivered. at 4:17 a.m., after about seven hours (plus six weeks) of labor, she was in my arms. meeting isabella rose was indescribable. truly a piece of heaven on earth. she was so, so tiny and so beautiful. and very strong. i felt such a deep love for mateo and so bonded to him; i loved watching him meet his girl. and was so grateful for how well she transitioned. even though she weighed just over 5 pounds, she was lifting her head off of my chest, ready to nurse right away (to which tess lovingly called her "the hulk!"). the nicu gave her a quick once over, and then she was alllll ours. i had such an adrenaline rush that i didn't even care that i was getting stitches and spent the first 18 hours of her life staring at her when i reaaaally should've been napping. we were visited by my older brother and so many of my wonderful work friends, and then we snuck home to recover with the pups at home the following day. i can't say enough about the team of people who took care of me-- during my delivery, preterm labor stints, and pregnancy. i always felt heard and supported and empowered. i was told that my doctor and nurses from the delivery left my room, hugged, and cried. and if that isn't remarkable, i don't know what is. 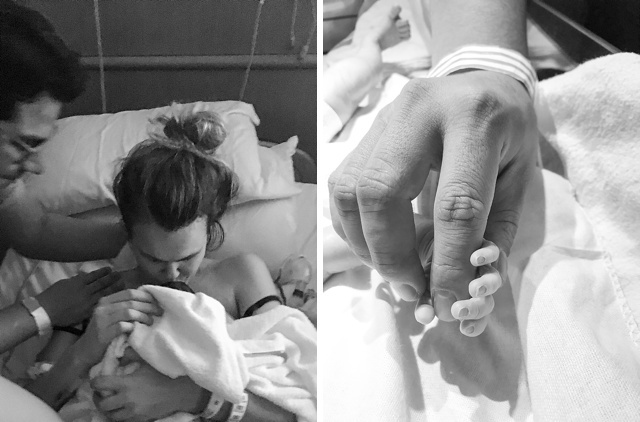 the same nurse that offered up a beautiful prayer the day i went into preterm labor also prayed with us after the delivery, in gratitude, and it really felt like we had come full circle. at my first prenatal visit, i remember my midwife saying that i would feel so strong and empowered after the birth despite my body having failed me so many times before. and this was absolutely the case. you guys, mothers are superhuman. to become a mom, no matter what route you take, takes such strength and courage. for those who might wonder, i am actually quite glad that i chose to have a natural labor and unmedicated birth. although it was admittedly a bit traumatic at first, pushing was fast and instinctive, and i loved having the ability to move around. i also recovered quickly and enjoyed walking around an hour after her birth. i would go this route again-- just maybe with a bit more preparation next time! 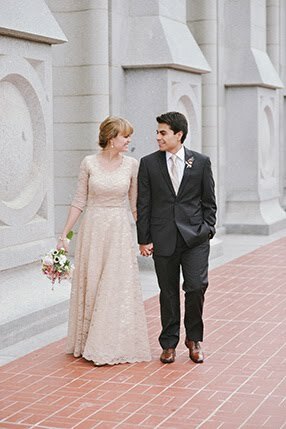 i get so emotional looking at these photos and remembering this day. i'm overwhelmingly grateful. i would go through the six weeks of preterm labor, 18 IVs, anxiety, and pain time and time again for this perfect little girl. i love being her mother and still cannot believe that Heavenly Father has blessed us with her. a huge thank you to everyone who has supported us, congratulated us, and shown love for our isabella rose along the way. **photos thanks to tess + lisa + steve jobs.